"The Bible is the greatest of all books; to study it is the noblest of all pursuits; to understand it the highest of all goals." 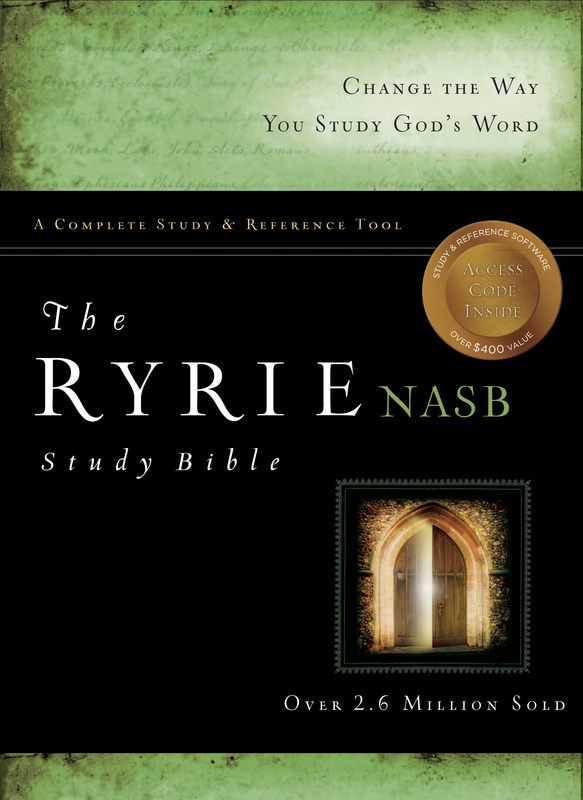 NASB Ryrie Study Bible: Black, Genuine Leather, Thumb Indexed by Charles C. Ryrie was published by Moody in April 2012 and is our 46920th best seller. The ISBN for NASB Ryrie Study Bible: Black, Genuine Leather, Thumb Indexed is 9780802484604. Be the first to review NASB Ryrie Study Bible: Black, Genuine Leather, Thumb Indexed! Got a question? No problem! Just click here to ask us about NASB Ryrie Study Bible: Black, Genuine Leather, Thumb Indexed. When will a leather NASB Ryrie Study Bible be back in stock?